“The Epic of American Civilization” begins with towering bronzed Aztecs. It ends with capitalists in top hats gobbling up coins. In between lie revolution, crosses, skeletons, snakes, and Pancho Villa. Over in one corner is a signature — J.C. Orozco, February 13, 1934. During the depths of the Depression, Jose Clemente Orozco came to Dartmouth from his native Mexico. The Baker Library was new and needed decoration. Orozco was given $500 in Rockefeller money (Nelson Rockefeller was a Dartmouth alum) to show students how the old art of fresco — paint applied to wet plaster — was being revived by Mexican muralists. 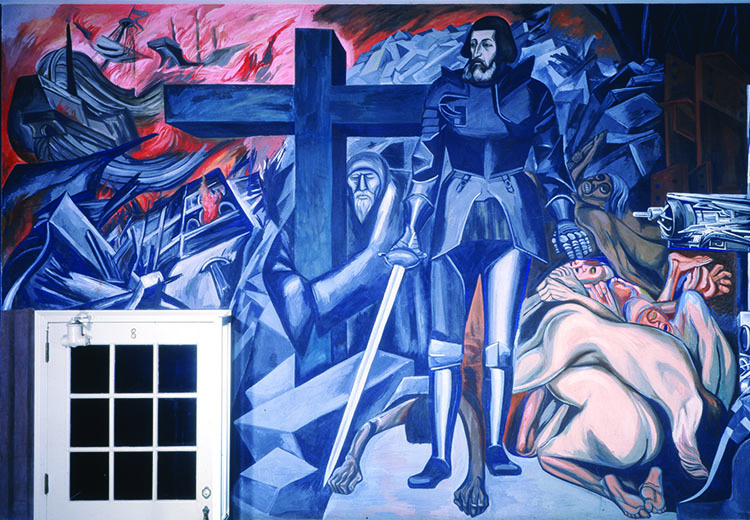 The Revolution turned Orozco into a political painter infusing his work with myth, history, and “art at the service of the Worker.” So when, after three months in Europe, he returned to Dartmouth to begin his fiery epic, old Yankee money was (ahem!) concerned. 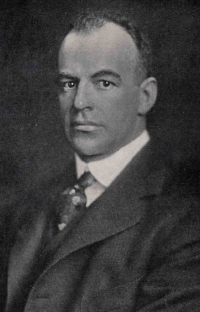 Dartmouth’s president had written to a friend, acknowledging that Orozco was “a flaming red communist.” Yet Ernest Hopkins was not afraid of ideas. Hopkins had grown up struggling, working in granite quarries before using his own Dartmouth education to enter business. He had come to believe “it was not the form of a man’s activity or even his association which defined either good or bad citizenship but rather what was the nature of the man himself.” Now the lifelong Republican defended the “flaming red communist” and his right to free speech. Month after month, Orozco applied paint to wet plaster. Across the walls spread cannons and chains. Huddled masses. Four grisly “Gods of the Modern World.” Even as Orozco worked in a library basement, the more celebrated Diego Rivera was painting at Rockefeller Center in Manhattan. 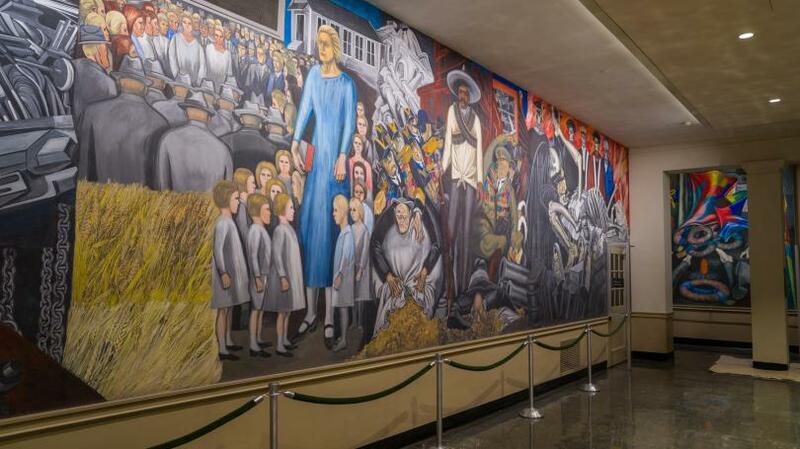 But when Rivera put Lenin on one wall, he was fired. The mural was destroyed. Orozco kept working. Today, students at the Baker Library seem not to notice “The Epic of American Civilization.” They come and go, ordering books, staring into phones. But here in the basement, what one art historian called “a great jeweled cup overflowing its conventional brim,” is more than a masterpiece. It is a tribute to an American idea that has not dried into plaster.